Did You Waste Money on a Customized Myspace Profile? Unfortunately, many bands have relied on social networks to be their hub for information, instead of purchasing a website. One of the popular strategies I’ve seen is buying a URL and directing it to a customized Myspace profile. Are you one of these cases? Well say good-bye to your layout. Myspace has sent out an email notifying artists that their profiles will be upgraded to their new theme. All profiles will be upgraded by Nov. 29, 2010. I like how they sugar-coat it with encouraging statistics. Over a million artists have already upgraded and seen increased engagement around song plays, video plays, photo views — all the things that are important to you. We’re now going to be upgrading ALL artists on Myspace to the new profile over the coming weeks. Thanks for the warm notice Myspace, but what about the artists who paid to have their profiles customized? It seems like they are left out in the cold on this move. What happens if you don’t upgrade your page? If you don’t go through the process on your own, we’ll simply auto-upgrade you to the default theme. Everything you’ve already uploaded will still be there. You’ll be able to customize your design later. 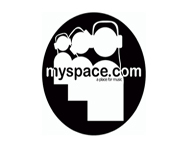 Myspace needs to realize that it is a very popular social network for unsigned and indie artists. It gives artists an outlet to help them market their music. But this step backward won’t help their cause to improve traffic. This might result in a backlash against the site. I’m sure there were other options they could have chosen to achieve their goals, but they selected the direct way simply because they can. They believe we are going to adapt to their ways because they are something we need as indie artists. Visit Myspace.com/ArtistHQ for more information and to contact them directly. Bottom Line: Control your own path and move forward with the choices you want to make, not the choices they make for you. Invest in your own website, and just use social media as a marketing tool. Have you upgraded your theme? Did you band lose money because of this move? I'm a designer that previously created customized themes for MySpace pages. As you stated "new ventures" generally use the free social site to market themselves. Designers help brand the various media they use. By wiping out previous customization and limiting what can be done MySpace is becoming a Face Book/Twitter clone losing what made them appealing in the first place. As disappointing as it is, there are options.